Muir Woods – it’s wonderfully quiet (during the weekdays) and magical to walk along the redwood trees and see them tower above you. Muir Beach – this is a pretty small beach with great trails and beautiful views. Sometimes you can even spot dolphins! Mt. 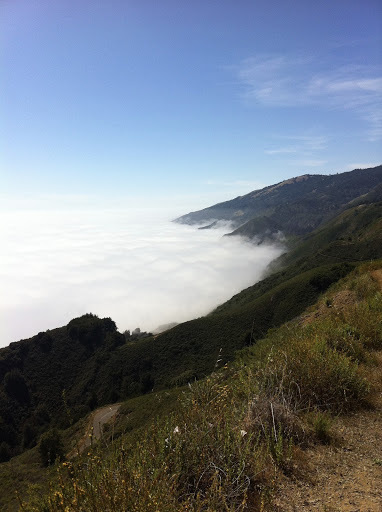 Tamalpais – you have to drive through the clouds to get to this summit, which is always really fun. I love the contrast from bright sunny weather, to rain, and then back to bright sunny weather again. Point Reyes National Seashore – it is ridiculously beautiful here. You can hike along the trail to Arch Rock to see amazing views of the coast and possibly elephant seals. There are also elk and deer scattered throughout the park. Whales are visible from the lighthouse around mid-January. There are also beaches but the waves here looked a bit too intense for swimming. Cowgirl Creamery – go here if you love cheese. You can sample some of the most delicious cheese of your life. On Fridays, they do a curd-making demonstration and a tasting of all of the Cowgirl Creamery cheese for $5. You can also pick up a little something here to eat while kayaking at the next stop on Highway 1. 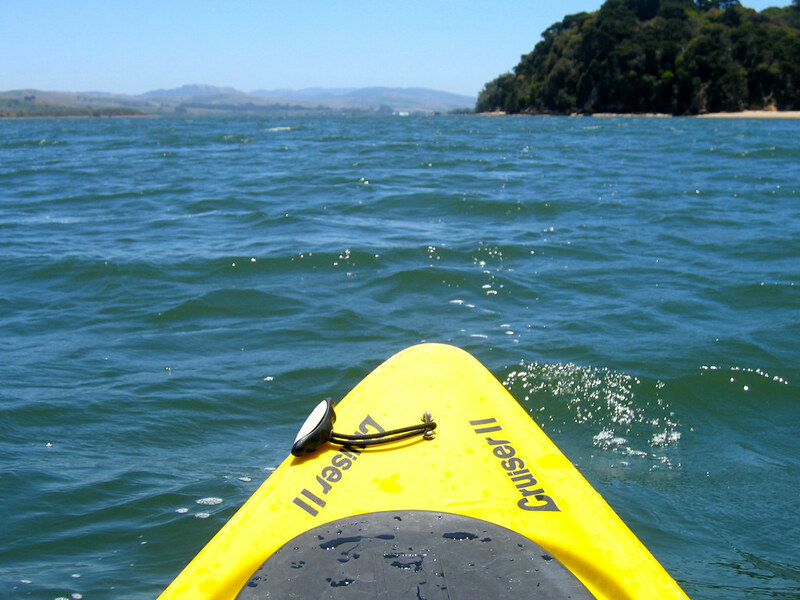 Tomales Bay – you can go kayaking here! It’s great to pack a picnic and then start paddling in the bay. There are very few waves so it’s not difficult and when you get tired there are multiple places to dock your kayak and hang out. We rented our kayak from BlueWaters Kayaking. Beware of losing flip flops when starting out though; the sand was quite dense and one of my flip flops got stuck. Hog Island Oyster – this is where Hog Island Oyster Bar in the Ferry building gets its oysters but it’s even better here because you can shuck your own oysters! They have picnic tables where they provide you with oyster shucking tools, hot sauce, and lemons. There is a $5 fee per person to use the picnic tables and no reservations are needed unless you want to grill something. They also have bread, cheese, charcuterie, and beer available if you want more than oysters. This is about as far as I’ve gone north on Highway 1. What are your favorites in this area?